We often have trouble letting go of painful events from the past. We may blame ourselves or others, perpetuating inner conflicts or disputes with others for many years. This affects the quality of our life and the way we respond to our current circumstances. Through practicing mindfulness and meditation we can remove the source of our pain and finally let go, leading to a tremendous feeling of freedom and happiness. This course will give you practical tools to move forward in your life. 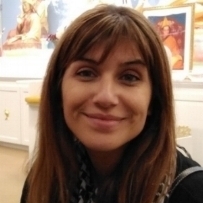 Fatin has been studying and practicing Kadampa Buddhism for 13 years and is currently on our Teacher Training Program. She enjoys sharing her love for Buddha's teachings and meditation and finding practical ways to implement them into all aspects of her life. During the day, Fatin works as a Financial Analyst at a global firm in Dallas. She is married and both she and her partner enjoy volunteering at the center and helping to teach the kids class.